Every school has its weird kids, and I was one of them. You see, I never wanted to be the hero. No suave captain, renegade explorer, or caped crusader for me. We all love rooting for the underdog from time to time—but I earnestly dreamed of being the little guy. The slowpoke. The runt. 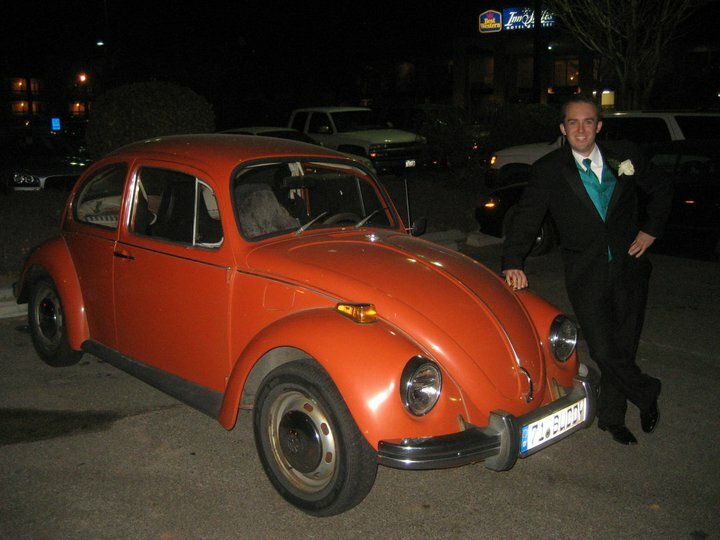 Even my dream car, in the days when Vipers and Lamborghinis graced school supplies, was a Volkswagen Beetle. 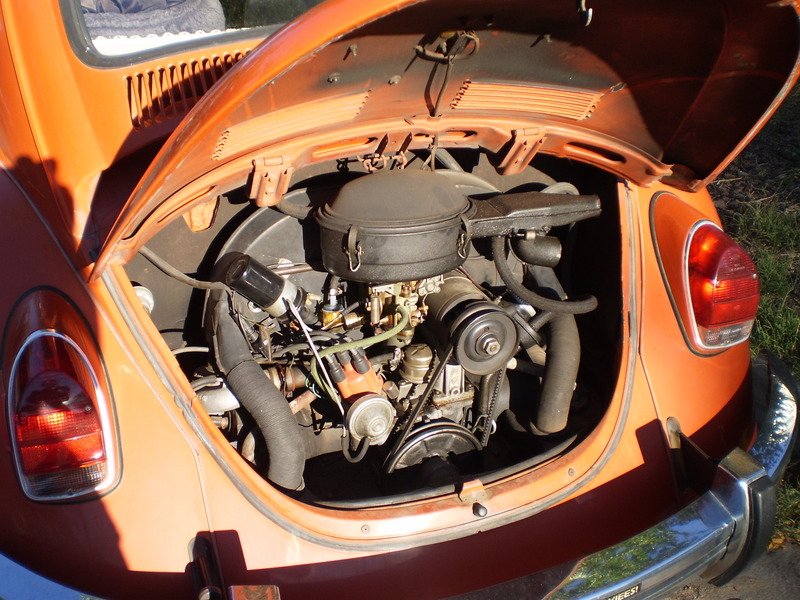 In college, an orange ’71 Bug plopped in my lap like a fat kid visiting Santa at the mall. About the only non-original component was the gas in the tank. Now, Bugs require a notorious amount of labor, like children or the Sudoku puzzle. Fortunately, for a writer, I’m pretty slick with cars. I know the theory behind putting air in the tires, and I’m really quite good at using the gas-station squeegee to clean the windshield. But I resolved to learn even more and do right by my dream machine. Showing off for the ladies. The little car chirped under my care, so long as the road stayed perfectly flat. It required me to coax and encourage it up every hill. “Come on, Buddy,” I’d plead. “I’ll wash you if you get me home. Just make it up the driveway, Buddy!” He always did, and the name stuck. Buddy and I became an inseparable duo. Wherever I went, folks always asked after him. They patted his fenders and talked to him in puppy-dog voices. All this attention had consequences for my car’s ego. At the risk of sounding like a crazy person (AKA a Volkswagen man), I must tell you that Buddy cultivated a very distinct personality, best summed up as chipper yet opinionated and ornery, and ultimately loyal down to the very small rusted hole in his floorboard. He welcomed me into a fellowship of sorts. Every time we passed a Bug on the road (and a real Bug, none of these modern bubble-mobiles), we drivers flashed the peace sign over the steering wheel. People outside the fellowship wanted in, too: I lost track of the times complete strangers in parking lots offered to buy the car on the spot. One man even told me to name my price, daring me into five digits. I never budged. Buddy was my bud. We had our quiet moments together. (As quiet as any moment with a VW can be.) We moseyed up old 66 just to get away and think. We spent the night together once, me crammed into the back seat with an Indian blanket, for reasons I’ll never spill. He became the unintended silent star of a small film project, the last quality time I spent with my best friend before life and too many miles got in the way. We dreamed together, too. We were going to drive the Pacific Coast Highway someday. We were going to rebuild his engine and cross the country. And when I had kids, they would clamor to take a spin, and Buddy’s purring hiccups would lull them to sleep when nothing else could. To help that last dream happen, Buddy worked his best Love Bug magic with a certain flair for metaphor. When I kept a particular relationship rolling longer than it deserved, Buddy spat the fluid from his brakes on a steep downhill. Instead of going to breakfast, we limped home at 15 miles per hour. Another time, Buddy broke down on the side of the interstate during a date. I called a tow truck; she called someone else. Buddy finally showed his approval. Your feet had to whisper his language, and everyone from my best friend to my mother couldn’t figure out how to jive in the driver’s seat. From the start, Jenny could navigate him without stalling or flooding or screaming. Buddy declared a winner. He inducted Jenny into the club. And once you were in the club, Buddy would do anything for you. Anything at all. Three years ago, Jenny and Buddy and I waited at a red light. The roads were Sunday-morning bare. 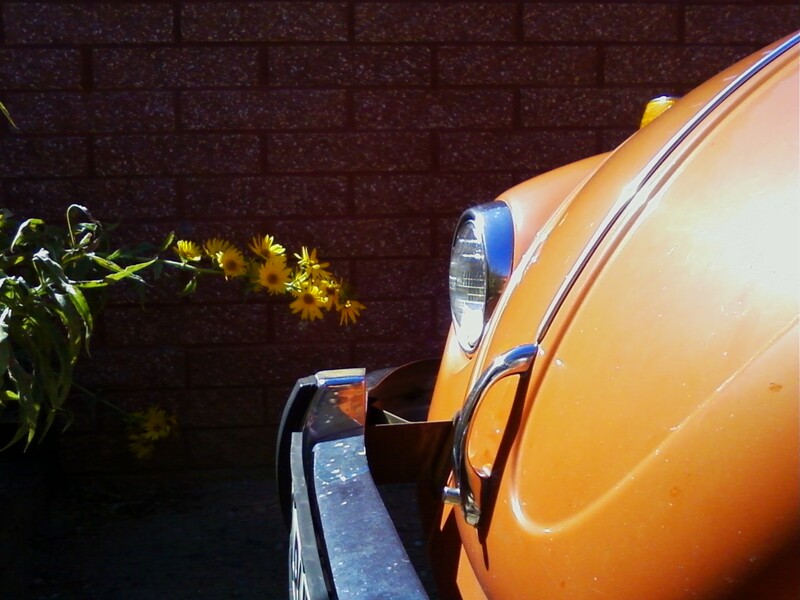 Summer was taking off, and Buddy smelled charmingly of warm seat stuffing and oil. The rearview mirror suddenly flickered. Then I blacked out. I came to on the other side of the intersection, still strapped into Buddy’s broken seat. I checked that Jenny was okay, and then she had to restrain me, because in shock and rage, I was going to throttle the driver who’d rear-ended us. I knew without looking that Buddy was done. By rights, we should be dead. The other driver didn’t even tap his brakes. But why he didn’t see the only bright orange shape on the road doesn’t really matter. What matters is that we walked away, a little out of alignment and a lot traumatized but otherwise perfectly healthy. For weeks, when people checked on us, they always asked, “How’s Buddy?” That’s how much he brightened people’s days with the smile in his hood and the twinkle in his headlights. And for three years, I have carried the weight of lost dreams. Buddy will never skirt the Pacific, and he’ll never know my children. I still wish every day I could wind him through the Animas Valley and load him down for camping trips. But that’s the funny thing about dreams: I can still do all the things Buddy and I imagined. And because Buddy was our hero when we needed him most, we’ll still get to live those dreams with that little car in our hearts. I can’t think of a greater gift a car could give. The past tense ought to have warned you. Thanks for being brave enough to read through the tears and dreaming along with Buddy and me. This piece originally appeared in the Durango Telegraph. One day, we can swap VW stories…but now I’m hooked on Nissan.